The journalistic transparency group WikiLeaks has publically disclosed millions of internal diplomatic documents and cables leaked from the U.S. Government. The documents reveal the realities of international diplomacy—often with unvarnished candor. In particular, the diplomatic communications reveal much about Qatar, its royal Al Thani family, the nation’s sovereign wealth fund, and relations with the United States. DE-Tenants.org has already cited many WikiLeaks sources throughout our Qatar reporting. Today we want to assemble the WikiLeaks sources in one location. You can search the documents for yourself at Wikileaks.org, but below we have highlighted the documents and cables we found interesting. The Al Thani family have controlled Qatar for approximately 140 years, maintaining a “tight grip on power” during British colonial rule and after independence. The Qatari constitution enshrines hereditary rule by the Emir’s branch of the Al Thani family. Accordingly, the Al Thani name can be “a ticket to opportunity,” as local and foreign businesses prefer working with a royal. The Al Thani royal family occupy the highest levels of government. At least nine of Qatar’s twenty-four leading government positions, including the Emir and his cabinet, belong to members of the Al Thani family. The United States government, in a diplomatic communication dated 2008 and publically divulged by WikiLeaks, writes: “the distinction between the State and the Al Thanis is thin, varying, and uncertain.” Per the same communication: “On the domestic front, the [Emir] and a small circle of family members [make] all the major decisions in the country”. Regarding foreign policy, “the foreign policy of Qatar can be considered little more than Al Thani family policy, determined by a few Al Thanis at the very top” (SOURCE). Elsewhere, the U.S. Government has characterized the nation’s sovereign wealth fund, the Qatar Investment Authority (QIA), along similar lines. 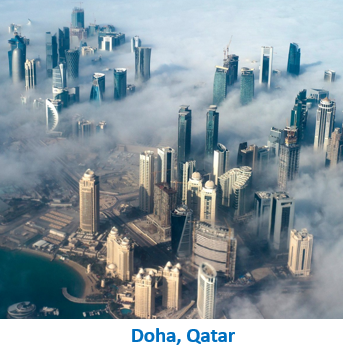 The QIA was reportedly founded to manage the country’s windfall profits from liquefied natural gas sales, of which Qatar is the world’s biggest exporter. However, the QIA has been dogged by accusations that it is, in reality, the royal family’s investment vehicle in a country where personal and state wealth are blurred. Per leaked U.S. Government cables, American diplomats have stated that the QIA's investments appear to be based as much on the “personal predilections” of the Emir and his family as on any economic logic. The same cable also noted that the QIA manages funds for other parts of the Qatari government, specifically citing the Qatar Foundation’s endowment. The Qatar Foundation is a quasi-governmental educational, social, and cultural organization, seeded by billions of dollars in government money and run by the seventh Emir’s second wife, Sheikha Mozah. Sheikha Mozah is the second wife to Hamad bin Khalifa, the seventh Emir of Qatar (1995 to 2013). A separate Wikileaks cable indicates a rivalry between Sheikha Mozah and the former Prime Minister Hamad bin Jassim.